Our first giveaway! Two nights at Camp Wandawega for two adults (and your kids, if you have them). The date is set: the weekend of Oct 1-3. If you can’t make it, please do not enter. There are no rain checks. Food, drink and transportation are not included. The winner will get a welcome package and a two-night stay at the super-amazing, rustic summer camp (see yesterday’s post). There is hiking, fishing and boating at the camp, as well as pumpkin patches and corn mazes nearby. To enter, leave a comment by Thursday night, Sept. 9, 2010, midnight. We will pick a winner at random. The winner will be announced here Friday. Good luck! And thank you so much, David and Tereasa! Update: The winner is Christine Picciariello. I’m loving DesignTripper.com!! And really want to win this getaway. It would be a perfect long weekend! Just stumbled upon designtripper.com – and I love it! Who wouldn’t want a getaway weekend @ Camp Wandawega – just to repeat it the whole car ride there from Chicago would be worth it!!! C) if designtripper is looking for new employees, let me know, ha. traveling to amazing places, and then getting to write about it, dream come true. Home Sweet (away from) Home. Just looking at the pix is relaxing! Summer camp for adults–a dream come true!! Looks absolutely wonderful. Really nice looking site with helpful information for future vacays! Love this place, love this site. Pick me puuuuhhhleeeeease!!!! I work in the Travel and Tourism Industry and had not seen a hotel like this before. Would be a great opportunity to get to know the place and help promote it. Keeping my fingers crossed!! Can’t wait!! I hope I win! Love to go to Minnesota! This looks like the PERFECT place to unwind, share a good tale, laugh & re-connect with my hubby. Would love to win this trip. No kids in our nest so we are free to travel whenever. I do believe that our calender is open for this weekend. This looks like such a laid back but beautiful place! It would be such a perfect road trip vacation to start the fall out. I would love to win 🙂 but if I don’t I will keep this in mind for a place to visit soon! Oh, my goodness. I must must win this contest. Me too! Me too! Looks awesome! This place looks like heaven. And I’ll be in the neighborhood from Brooklyn around that time! Boat picnic! What a lovely getaway! When I was little, we visited my aunt and uncle’s cabin in Wisconsin and explored a tiny “island” on the lake by their house. Thanks for bringing back great memories! What’s not to love about this place? Hope I win. I grew up in Rushville, IL, just across the river from you in Beardstown! 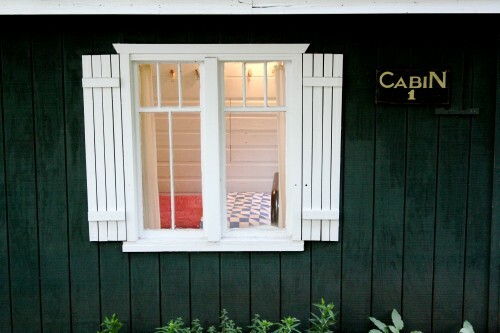 I first saw the article about your “Very Modest Cottage” earlier this year and I have been following you/your cottage/Camp Wandawega ever since! I currently live in Chicago and this farm girl would jump at a chance to get back to nature for a few days up in the crisp, Autumn landscape of rustic WI! This would be such a welcome break. Love it. Oh my goodness- this would be a dream come true! We’re hooked on Wandawega on the web, but haven’t actually had a chance to make it up there and see it in person yet! Thanks for the incredible opportunity! I was studying some of your articles on this site and I conceive this web site is very informative ! Keep on putting up. Fantastic site. A lot of useful information here. I’m sending it to some pals ans additionally sharing in delicious. And certainly, thank you in your effort! Very interesting details you have observed , appreciate it for posting . “Death is Nature’s expert advice to get plenty of Life.” by Johann Wolfgang von Goethe. I and also my guys came taking note of the best tricks located on the blog while all of a sudden got a horrible feeling I never thanked the site owner for those secrets. All of the women were for that reason joyful to read through all of them and have now really been tapping into them. Appreciate your indeed being considerably considerate as well as for picking out these kinds of cool areas most people are really desperate to be informed on. My honest regret for not expressing gratitude to earlier. hello!,I like your writing so so much! percentage we keep in touch extra about your post on AOL? I need a specialist in this area to unravel my problem. May be that is you! Having a look ahead to look you. Very interesting subject , thankyou for posting . “Genius is of no country.” by Charles Churchill. Dead composed subject material , appreciate it for selective information . Really wonderful info can be found on web site. “Preach not to others what they should eat, but eat as becomes you, and be silent.” by Epictetus. Excellent read, I just passed this onto a friend who was doing some research on that. And he actually bought me lunch because I found it for him smile Thus let me rephrase that: Thank you for lunch! “Procrastination is the thief of time.” by Edward Young.